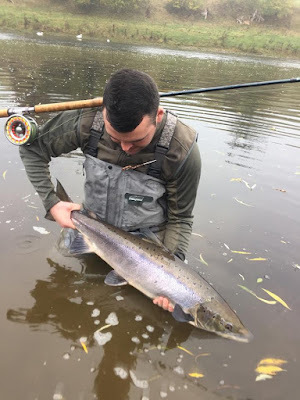 November 2015 Fish of the Month Entry - Tweed Salmon! Jamie McCulloch caught this cracking Salmon from the Horncliffe beat of the river Tweed on a Red Francis tube fly. The fish was carefully returned after a quick photo!